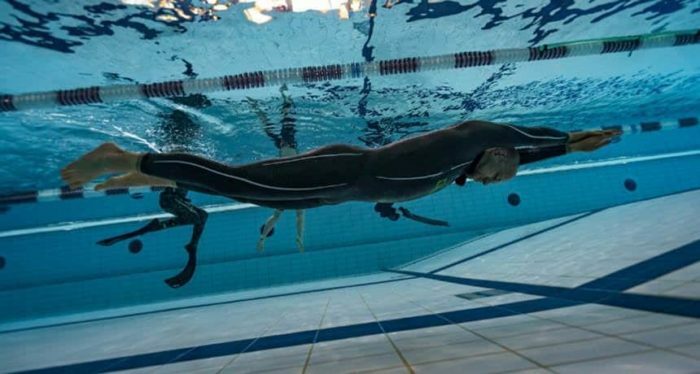 Mateusz Malina, known as Matt to most in the Freediving world, has been taking the international freediving stage by storm with no less than 4 consecutive World Records in 2016 alone. 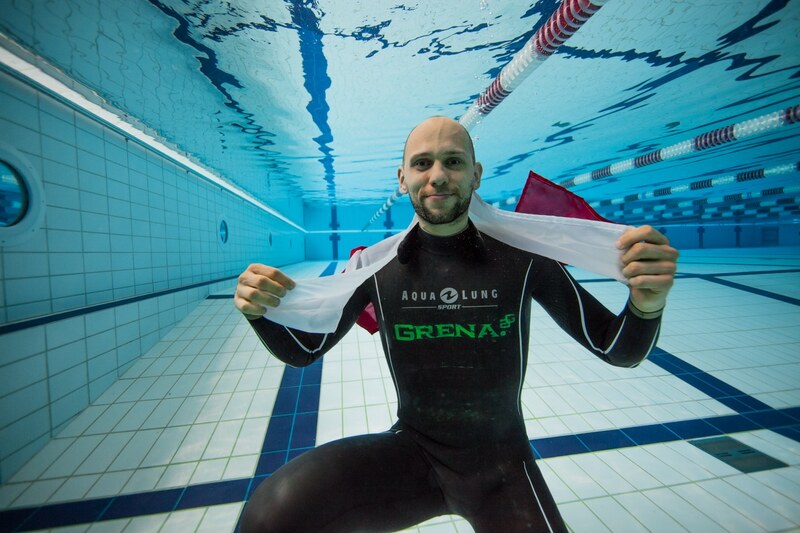 He is the most successful Polish Freediver in history and the first to secure a World Record. To date he has set 5 World Records and 31 Polish National Records. We had the chance to sit down with Matt recently and get a peak into the mind and training regime of the Freediving Superstar.  DeeperBlue.com: Hey Matt, first of all thanks for agreeing to answer a few questions for us here! It’s a pleasure and an honor to be able to help share your story. 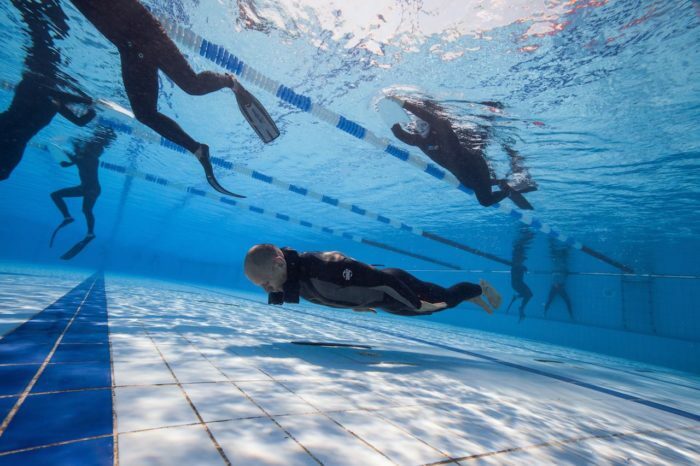 So, after setting FOUR consecutive World records in pool competitions recently, I think it’s pretty safe to say you are at the very cutting edge of freediving methodology! How does it feel to be in this position? And were you always confident that you would make it to the forefront of our sport?! Matt Malina: Well, it feels great to me. It’s confirmation to me that my methods and everything that I do is right, or at least most of it. I used to dream about beating the World Record, but I never thought that I would be able to set 4 World Records within 4,5 weeks. Especially the 300m in Dynamic (DYN), the day after doing 244m in Dynamic No Fins (DNF)! That tells me that it’s not over, it is just the beginning of my 300m+ journey. I’m very excited about it! It’s funny, when I reflect to the very beginning of my freediving, when 100m in Dynamic was something very special to me. I never thought that I would make it to this level. DB: Well, there’s no doubting it now! As a fan of the sport, I keep an eye on the results at the major competitions and I have always enjoyed reading your in depth post dive analyses on Facebook. I remember reading a post of yours just after the 2013 Pool World Championships in Serbia. The competition hadn’t gone quite how you had planned, but to me this appears to have been a turning point for you. Since then, you have gone from strength to strength, to the point where you are now setting World Records almost at will! Can you explain to us, what was it that changed for you? MM: I think a lot of things have changed. Firstly, I believe that it’s important to learn from failures. This failure was pretty significant to me. Seeing Goran Colak winning triple gold on top of the World Record was very inspiring and motivating. Another thing that was really important was a short chat I had with Alexey Molchanov about Natalia Molchanova. Just to remind you, she won triple gold with a world record on top of each event. I couldn’t believe how is that possible for a 50+ year old woman. He told me that “she enjoys being in water and that she trains almost everyday”. I think this was the most important sentence that I have ever heard. Before, I was just not training enough because I was afraid of over-training. I was literally holding back from training because you hear everywhere that rest is just as important as training. While it’s true, it is even more important to Trust Yourself. Since then I’ve started to trust myself more and I’ve started to train almost everyday, because I enjoy it. By listening to myself and trusting myself I was being able to identify symptoms of over-training and stop(training) when needed. Of course not everyday I was doing the same thing over and over but I’ve increased the volume of my training to the right level as it seems. Later I have discovered that there is a lot of other factors that influence our ability to regenerate between training and simply doing nothing is not effective if we lack of sleep or don’t have a right diet. Secondly, it’s a year when I have graduated. I finally had more routine in life with regular sleep patterns. I could better plan my season and it had a very positive effect on my results. DB: Great answer! So if you’re sitting out home in the lazy boy reading this… Best advice is to get up out of that chair and get back into training! Now, I have seen you perform in person at depth comps and from afar at pool comps. A huge part of your success appears to come from your mental strength. Eastern Europeans have a reputation for being very mentally tough! Do you use any particular mental tools or you literally just tough things out? MM: On the contrary I don’t consider myself as a tough person! Being tough and mentally strong are two different things to me. A tough person would try to tough everything out without seeking for help, and it could be derogatory for him. After Serbia in 2013 I realized that a sports psychologist might be the thing that I needed. I was strong physically, capable of winning gold there but my mind failed me, not the first time to be honest. I have found a very intelligent woman who is a sports psychologist at the Polish Academy of Physical Education. I have worked in cooperation with her since then and I can now say that mind training is as important as any other workout. A great example is sprinter Asafa Powell. He is great athlete with a World Record in the 100m. However, he has never won any major competitions as an individual. He is a great example of great sportsman, mentally burning out on World Championships or Olympic games. Maybe not everyone needs such training but at least I know it’s beneficial to me. I don’t work with her all the time, only when there is some important competition to me. I usually start “training” mentally a few months before. Funnily enough, I have never done any mental training before depth, it seems natural to me and comes much more easily. DB: Very interesting… (Note to self, must find a sports psychologist to help me improve my pool training or perhaps I’ll just stick to the ocean) Having smashed the long standing DNF WR and becoming one of only 3 men to swim 300m on one breath (with apparent ease I might add), where do you go from here? Will you continue to explore your capabilities in the pool or will you make a return to depth? MM: This year might be the first time since 2009 that I will not compete in any depth event. Having regular work means that I am limited with time that I can spend around the sea. I will attend next year’s depth world championships but I will prepare for it as I have in previous years, just back home in my 31m quarry. 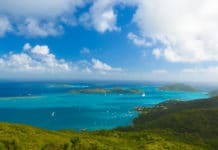 I hope it will be held somewhere in Caribbean area, because I would like to visit these places. At the moment I have some problems equalizing deep, below 110m+. While I can train and maintain my lung flexibility back home, I feel deep equalization aspect’s can’t be replaced and I really need to dive deep more often in order to train it. It’s funny but since 2012 I dive deep only 2-3 weeks per year, which gives a total of maybe 6-13 deep dives per season. It’s not much time to solve the issues that I have. I hope it will change in few years time but for the time being I will keep focused on pool training, since I feel there is still much more to accomplish there. The pool gives me a good base and great oxygen capabilities, I maintain a good flexibility in my quarry and all I need to workout is deep equalization which needs time and repetitions that I don’t currently have. Depth is definitely something I will return to at some point. DB: Well, I happen to know someone who knows a thing or two about equalizing Matt, I can have a word with him if you like! And if it makes any difference I’m hoping the Depth World Championships are in the Caribbean next year too, and if it’s not you’re always welcome to attend Blue Element (the new Dominica competition) What does a typical day look like for Matt Malina? MM: It depends which part of season it is but I assume you are interested how it is before major comp. I wake up early, 6:00 or 6:30 and I go to the pool for apnea training. After I finish and by the time I get to work is 9:30. After work I’m at home around 18:00. I have around 4h of personal time. I spend it with my fiancée, I eat, relax and prepare food for next day. Around 22 I want to be in bed in order to sleep at least 8h+. Rinse and repeat. DB: Do you have any advice for other freedivers (of any level) that you would like to share? And if someone wanted to contact you for courses or training, what is the best way to do so? MM: I would say step out of your comfort zone, because that’s where “magic happens”. If you become too comfortable with your training, You don’t get too tired, it’s time to change something because Your body is no longer progressing. Set Your goals and be able to achieve them. It’s important to accomplish something and go through the process of setting goals/achieving them, it builds up motivation and a lot of positive things will happen along the way. Be patient and never give up. The best thing is to contact me through my website. DB: Is there anything else you would like to add/say/share with the global freediving community? Or anyone you would like to thank? MM: I hope everyone always abide one simple rule of freediving – never freedive alone/without supervision. Also my colleagues from Poland made the amazing Diveye drone, something that can bring us to the mainstream media and make freediving more professional. I think the Freediving World hasn’t realized yet what technology we have in front of us and I hope that will change. Another thing I want to mention is an innovative Polish Freediving computer. Now, that’s a big thing! I don’t know if anyone remembers but in Cyprus 2015 I had a strange little tube around my head. It was a prototype of dive computer that talks to You. It can do anything and the amount of possible combinations of alarms is limitless, basically only your imagination is the limit when it comes to that. It can tell You when to take mouthfill, start freefall, current speed of descent, ascent, simply anything that you can imagine. It has a high quality pressure sensor that can narrow depth to centimeters (or inches). You can enter longitude, salinity etc. 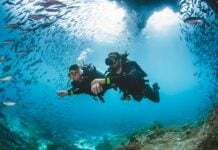 if you want to get precise depth measurement based on a location of diving. I’m really excited about it because this piece of equipment is completely innovative. Last year I was using one of the “alarms” that would start a timer when I passed 25m on the ascent and if I would reach 6m before 30 seconds from there, it would tell me to stop for decompression on deep FIM dives. You will be able to record up to eight personal messages and play them whenever You want. It can use words such as “prepare, focus”, etc. before surfacing or even guide you through surface protocol. The creator has promised it will be ready for shipping around christmas time and at a very reasonable price. I hope to make a more precise article about it’s possibilities when it will be ready for release. 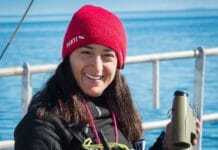 I would also like to thank my fiancée for extraordinary support, my mom, dad and sister with family, general sponsor Grena LTD, my mental coach, my training partners, Karol Karcz and Michal Dabrowski, Polish Freediving Association and many, many others. Five World Records and 31 Polish National Records. Three World Championship titles, two vice-champion titles and one bronze medal.